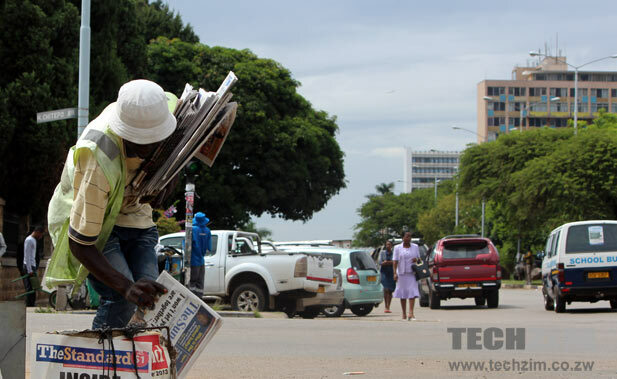 Back in March, we published a list of Zimbabwe’s most popular online news platforms and the list released in March contained statistics from February. We promised that the list would be continuously updated going forward and we are back with the statistics from the month of March. We added a single site (zimbabwesituation.com) this time around but if we missed any news publication you can always tell us in the comments below and we will add them. Zimbabwe Situation came in and just made the top 10 causing some disruption. Massive drop from Daily News! The Daily News dropped 4 places from second to sixth. It’s a quite startling drop and it’s not exactly clear what is the reason behind one of the largest drop on this list. Speaking of large drops, 263Chat dropped from 12th place to 17th. There’s some consolation to be gotten from the fact that their presence on Twitter is still a force to be reckoned with as they boast the second largest following on the social media platform. Herald recently dumbed down their online presence in a bid to stop other publications from stealing their content and to push more sales of the hard copies. The move does not seem to have affected their ranking as they remained the 3rd most popular online news publication. Though we did not agree with the move they made, it seems Herald is fine. The numbers for Techzim and Pindula both grew but we will not be providing any analysis for that as these are both in-house publications. We will leave you guys to comment on what you think may have influenced the growth. When we looked at the list more closely we noticed that the numbers for most publications actually fell. This is probably because in February there was still a lot of interest in news – following the ‘coup not coup’- and people were not yet tired of hearing just how open we (by we I mean Zim) are for business. That euphoria is probably slowing down now which is why most sites slowed down a bit. TechZim, you are a Godsend. I was wondering which online publications to prioritize for my press release so I can get the most exposure for my business and here you release a neat list, what a coincidence. Just wanted to say THANK YOU and God bless! Thanks for the feedback Kush! Great to know these lists are impacting readers in meaningful ways. But how come you left nehandaradio.com? Ok, I’ll tell you why The Daily News’ place keeps falling. The paper is obviously fighting for survival and limits stories they put online, which is fair enough. But most significantly, they deliberately killed the online comments section way back by limiting free comments and working overtime to take down comments that contradicted them. Compare this with The Herald and it’s ‘marketplace of ideas’ comments section. It was a naive, stupid, unresponsive, and fatal mistake. Why censor readers in this age of engagement. Next they sheepishly post stories online sometimes 18 hours after publication. Seriously, in this day and age. Finally, their stories are way too long and make for tiresome reading on screen. Can someone please teach them how to customise news for the web; make it short and punchy not rambling text until eternity, with all the images, videos etc to go with it. The likes of Bulawayo24,NewsdzeZimbabwe etc copy and paste stuff from other sites especially DailyNews.